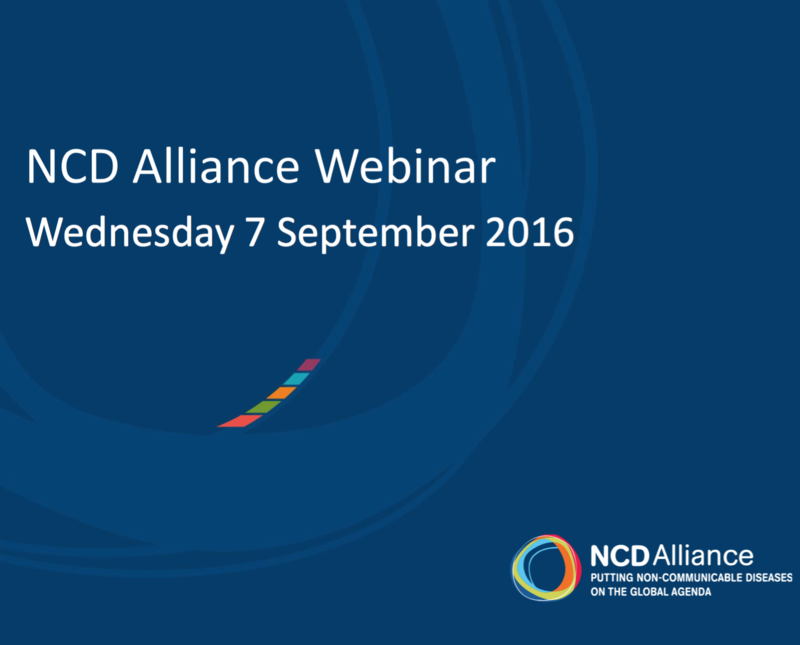 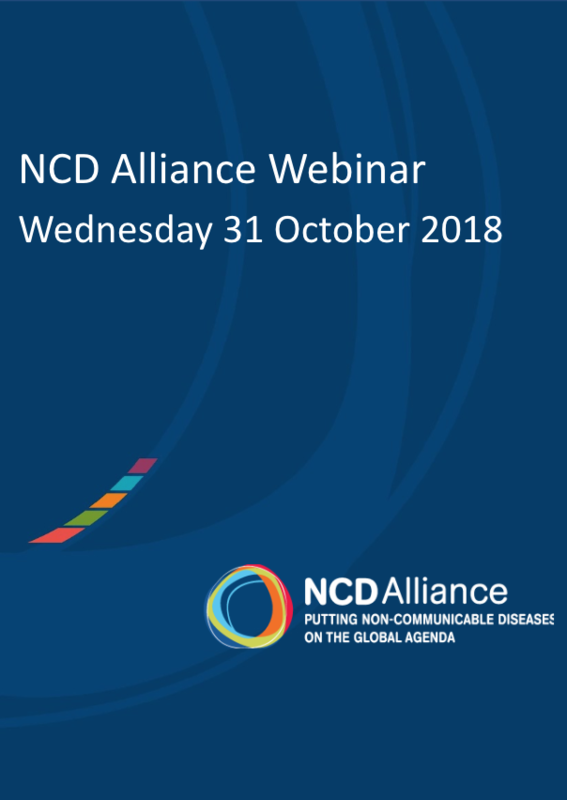 This webinar covered: Update on preparations for the 3rd High-Level Meeting on NCDs, ENOUGH, the first Global Week for Action on NCDs, Regional Committee Meetings and NCD Countdown 2030. 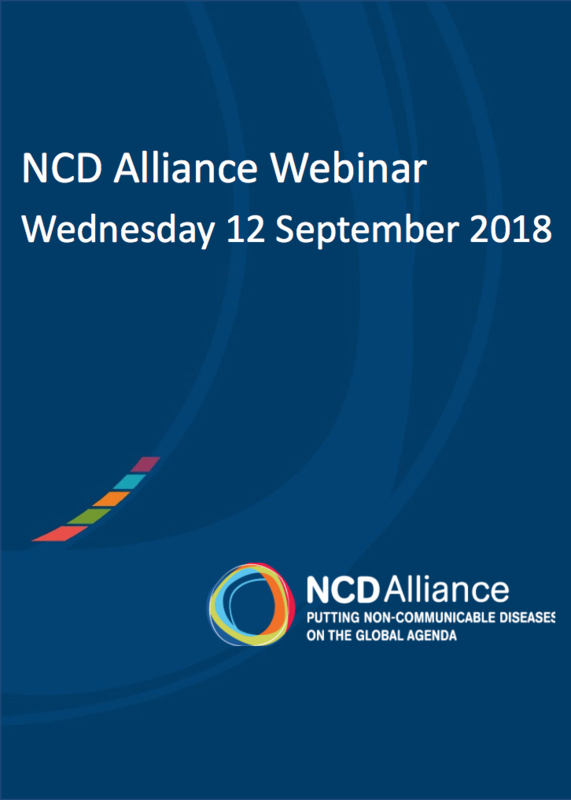 Reunión OMS SEARO: Las agendas de la cobertura universal y las ENT están inextricablemente unidas. 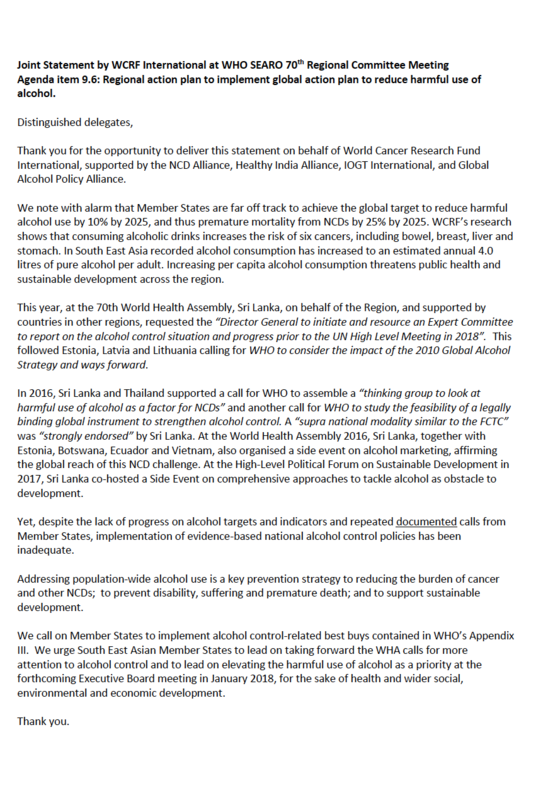 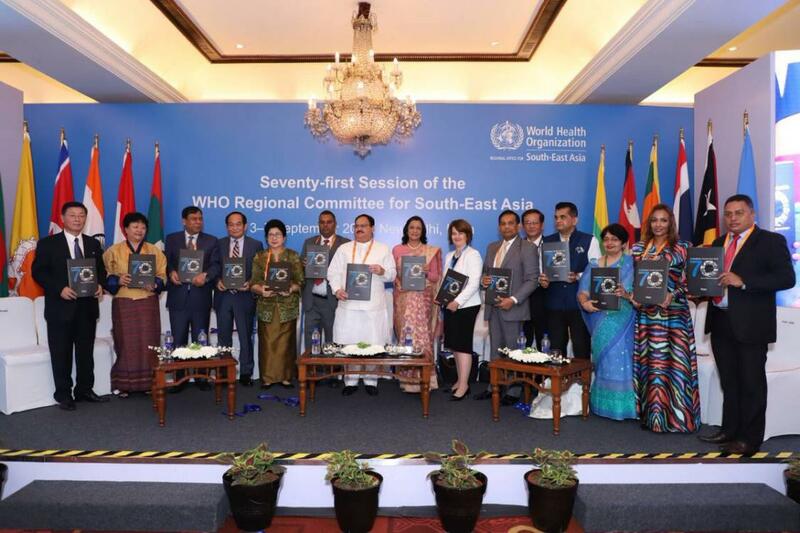 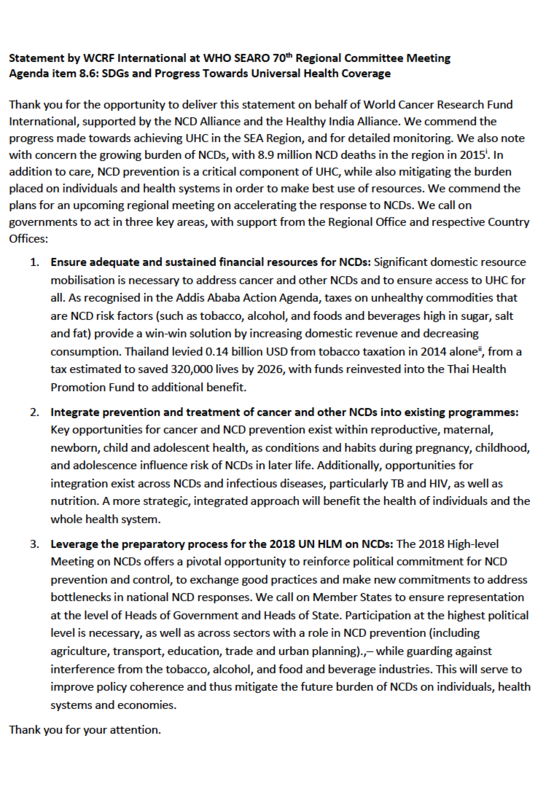 Progress on UHC is inextricably linked to progress tackling NCDs, said NCD Alliance and other organisations in a statement to the Regional Committee Meeting of WHO's Southeast Asia region.